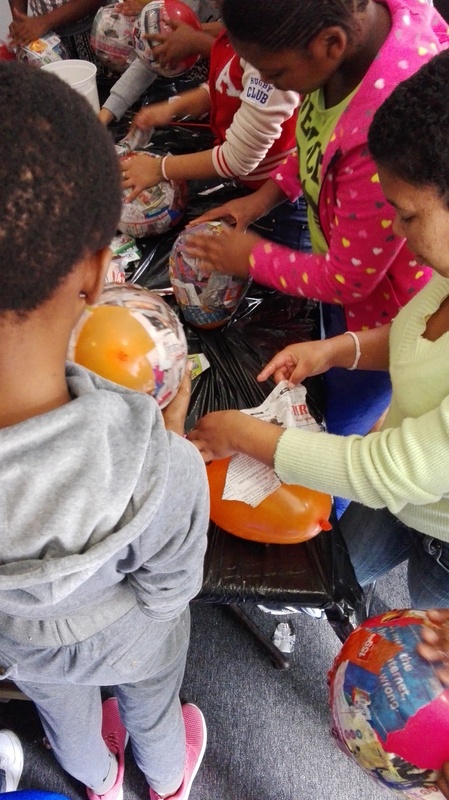 The overall goal of Ons Plek Projects is to enable children to gain the skills which they need to live as functioning members of society. To do this we provide a number of programmes including physical care, psychological care, re-unification with families, skills development, educational skills and social skills. Every activity we offer has a goal and purpose in the children’s lives. Each of these activities affect the lives of about 140 girls every year. 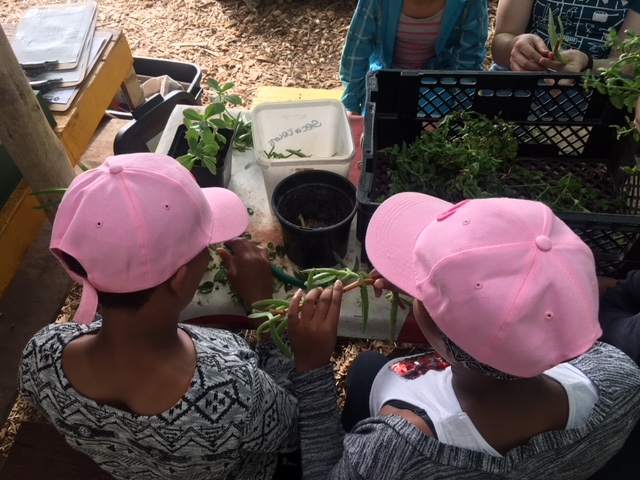 A healthy self-image and feeling of belonging and mastery is crucial to the girls’ willingness to engage in problem solving with their families and their communities. If community reintegration and family re-unification fails, the same process will nevertheless enable them to engage constructively in society. 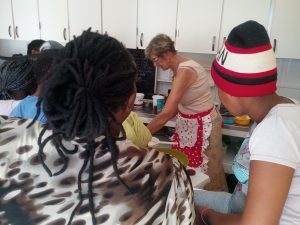 A range of skills training and development programmes are provided while the community re-integration and family re-unification process proceeds. This is one of the core functions of the work at Ons Plek. In some cases, it requires months or even years of painstaking work to make a home placement possible. Follow up work indicates that these placements are lasting. 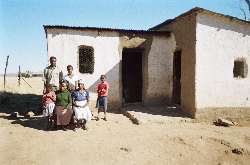 Home visits grow family contacts and enable community re-integration and family re-unification. Just being a child in my own neighbourhood. On a daily basis the girls do individual cleaning duties, make their beds, wash school uniforms, prepare breakfast, lunch and supper. They prepare a weekly shopping list and shop together with the childcare worker. Skills learnt include Nutrition, Hygiene and Budgeting. These chores teach the children to take pride in their personal appearance and to become self reliant and independent. The benefits in terms of Community Re-Integration and Re-Unification include feeling of belonging, mastery, responsibility, duties keep expectations of family life realistic. The demands of parents and society in terms of hygiene etc. are re-enforced by Ons Plek, such as Social Skills — House Meetings, Church/Mosque Attendance, Dance Group, Groups on Relationships and Friendships, Sexual and Body Care. House meetings take place during which the girls have to practice and learn listening skills, respecting others opinions and sharing of ideas in an accepting and non-judgmental way. The girls’ meetings give the girls opportunities to problem solve creatively and deal with issues such as house rules, bullying, anger management and conflict management. The girls attend the local Methodist Church on Sundays and participate in the church Youth Programme where they socialise with the community and experience a sense of inclusion and acceptance. Mosque and Madrassah attendance are also options. The purpose and content of in-house developmental group activities is to educate the girls on positive ways to deal with people in their lives and to understand themselves by way of respecting themselves. Topics include body change and growth, good / bad relationships, teen pregnancy, contraceptives and HIV/AIDS. These skills and knowledge shared during these discussion workshops allows girls to make more informed life choices. Relationship skills learnt are crucial to get on at school and work. The benefits in terms of community re-integration and re-unification are related to a better sense of belonging, and greater ease in social situations and building relationships. The more acceptable a child is to the extended family and community, the more support there is for the community re-integration and family re-unification process. If the children can cope at school it greatly increases their chances of fitting into and being accepted by their family and their community and finding work. Girls attend formal and informal schools having been prepared for this by attending our own Bridging School. Their education abilities are assessed and they learn to readapt to routine and structure and gain confidence in their abilities. The girls at formal schools also attend our homework programme every afternoon from Monday to Thursday. 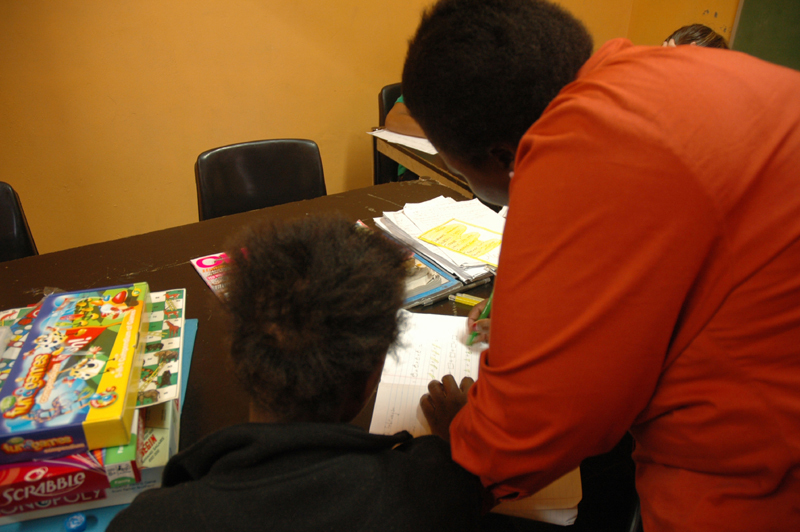 In these sessions, the girls are assisted with homework and assignments. They visit libraries and prepare sensible exam study timetables. Our educator visits all the schools at least once a term to help the educators and learners build a good relationship and solve problems in helpful ways. Older girls are also helped with job preparation including writing job applications letters, interview preparation, telephone skills, taking CV’s to stores, studying for job tests. 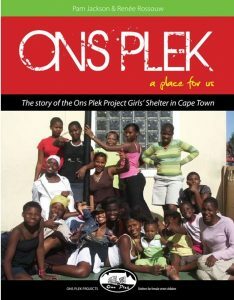 As with all other programmes at Ons Plek the holiday programmes aim to include preparing the girls for life in their homes and communities, and to give them opportunities for intellectual social and emotional development. Overall the skills learnt are beneficial in that they equip the girls with life skills and values such as responsibility, respect, budgeting, self-reliance, self-respect, anger management and sharing, tolerance to mention a few. When the girls spend time with their family (home visits) they feel more confident in expressing their feelings and ideas. They gain insight into the problems and or family dynamics, thus contributing positively to the process of community re-integration and family re-unification. They are able to fit socially into the community environments of school and work.